Or any other choice or comment explaining why, if you want to say more. Self-explanatory mostly. Your vote should represent your overal experience with, OR your overall impression of, Chuwi as a brand and/or any or all of its products and services. You're also free to expand on your vote with a comment as well. Do please especially write a comment if you want to focus your vote on a specific issue. On the other hand, if your profile activity clearly shows your problem, then maybe a comment here is redundant. For that, your username has to be listed under the vote, which as far as I can tell happens by default. Don't worry, you can change your vote in the next poll. You won't give the wrong impression. It's your current view, it's your right. If there is any lasting added-value to this "practice", then I request any fellow forum member (from Chuwi or not), continue this "quarterly" polling (previously "monthly", poll adoption is slow), in discussion with the community and Chuwi. Feedback will be gathered any other way. I'm not sure how it can be more brief and to the point. It's a snapshot poll. Views and experiences can change. Maybe "quarterly" is still too often or too soon consecutively? Or it can motivate one way or the other to do better or to feel some appreciation. And might wash away more quickly the disappointment by the previous poll from any side. Edit: improvement + clarity + fail recovery + adjustment of repolling period. 10. I give Chuwi a 10! 11. I give Chuwi a 10+!! Because. 12. I'm not sure. I've not decided yet. Correct Reply button? Also lists for a response, @username doesn't. Link: overview of replies to your username. They have to click for theirs. 3: 1+1+1 Links: Laplets vs Tabtops + is Chuwi good or bad? (2017Q2 sample) + After-sales? Monthly performance/perception polls? Hmmm. This could work. I'll try and further endorse this idea to the higher authorities in the forum. Nice one! Let me think deeper for my answer. I want to write a well thought out one, not just another impulsive post by me. Please pardon me as I may take a few days to properly answer hehe. 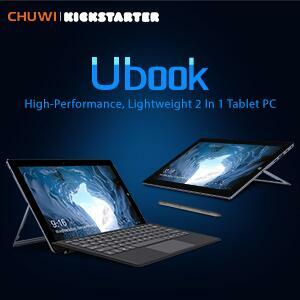 Why a 10 for Chuwi tablets? Because It is an innovative brand, which introduces new products regularly. The reliability is correct, despite incidents sometimes (! ), and especially prices accessible to all of us. and especially prices accessible to all of us. I've witnessed, at least a few times, here, that it's not "all of us". So be aware of that. 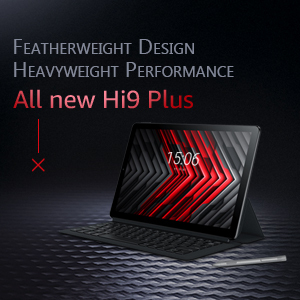 Although Chuwi as a "copy cat" or "borg" ((iPad Pro + Surface Book) - price = Hi13), makes M$ (reference: @hackerjack) indeed accessible to A LOT more than otherwise as far as its use cases go. And that one (see voter list) that gave a 1 vote, according to the profile activity, that person has had a SD card issue for a number of months IF I remember correctly. It's a known style in "general ideation" and some development styles, that we witnessed from each other as well. To "bring to the surface" our misconceptions and "simplistic approaches" until we might all reach together a more cohesive and "customized" approach. And I've other plans as I "stretch" my mind with "all" of the 'Neatnetz'.. sorry, I want to "feel special" too. Edit: lalalalalalala I want to learn to sing one day for fun. What did I Edit? @Emily, if you approve, should the active poll month be temporarily pinned/stick to all English subforums for more feedback? This is a reminder to rate Chuwi to have an idea how things are going. I readjusted to quarterly. The community is not "on the same page" even on how to best let know what they think of Chuwi with a concise number. And then to clarify why. If their account activity doesn't show their problem clearly. I gave them a 9/10. - Ok, you will have a better after-sales experience if you buy a product of e.g. Microsoft, or from your local stores but I am sick and tired of paying the prices that they are pushing at us. I even checked the booklets lately. 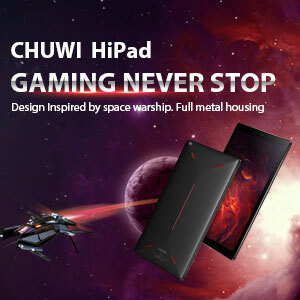 And nowhere could I find a Chuwi Hi13 like tablet/pc with around the same specs for the same price in any local store. - Their products have a very nice build quality, I would say "for the price" but that would be an understatement. - There are usually some bugs that occur, but really... This kind of things happen to a lot of brands. If you think about it, look at LG: If you follow the news you will see that they have a lot off issues with bootloops and what not; samsung: Not a samsung hater, as I really like my galaxy s7 edge, but I did have issues with it too; like my wifi not working, I had to get a new screen because the graphics chip of the screen was malfuntioning ect. I don't even need to tell, but why is the note 7 illegal to take onto a plane? I might be blowing things up a bit (you see what I did there? ;p) But it's a fact. So No; No brand is perfect. And as for Chuwi I think they are doing a good job. I rather have a tablet that's worth my money but has some bugs to fix than an overpriced tablet that may be a bit better but is twice as costly. A good judge of a company/brand is not only based on just on the products that they sell but also based on their level of service, from start to finish. The best way to test this is how well they respond when things go wrong!!! I do believe that Chuwi is trying to do their best but in reality, thier customer service needs major investment and improvement. In one email, the support agent said he was the only one supporting. I have been contacting support on may occasions and eventually after a long time arranged a repair for my tablet, but now over a month later I still don't have my tablet back. I've been asking for an update on many occasions and was last told it has been repaired and just testing. This was a couple of weeks ago and still no tablet, no update, and no contact. In my opinion, Chuwi should think more about the service before they bring products to the end user. i.e. Service first and then product. What level of support can we deliver? What is the SLA (service level agreement) times scales we offer/promise? What is the reporting and monitoring process? Who takes ownership of customer care? How do we respond to feedback? What actions/what have we learned? I have high hopes for Chuwi and want them to do well. But service is more important than just low prices. 4-25-2019 15:49 GMT-8 , Processed in 1.488755 second(s), 27 queries .